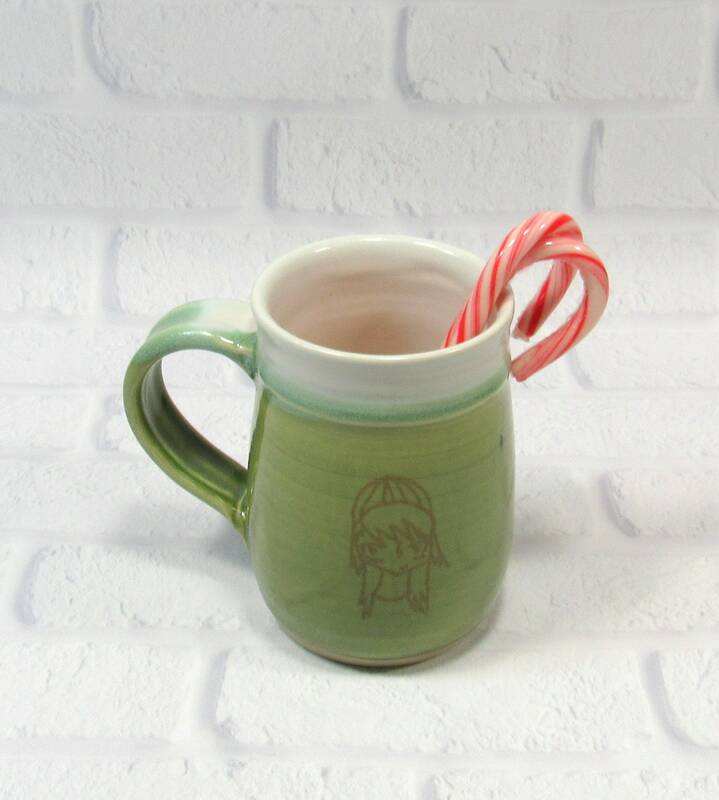 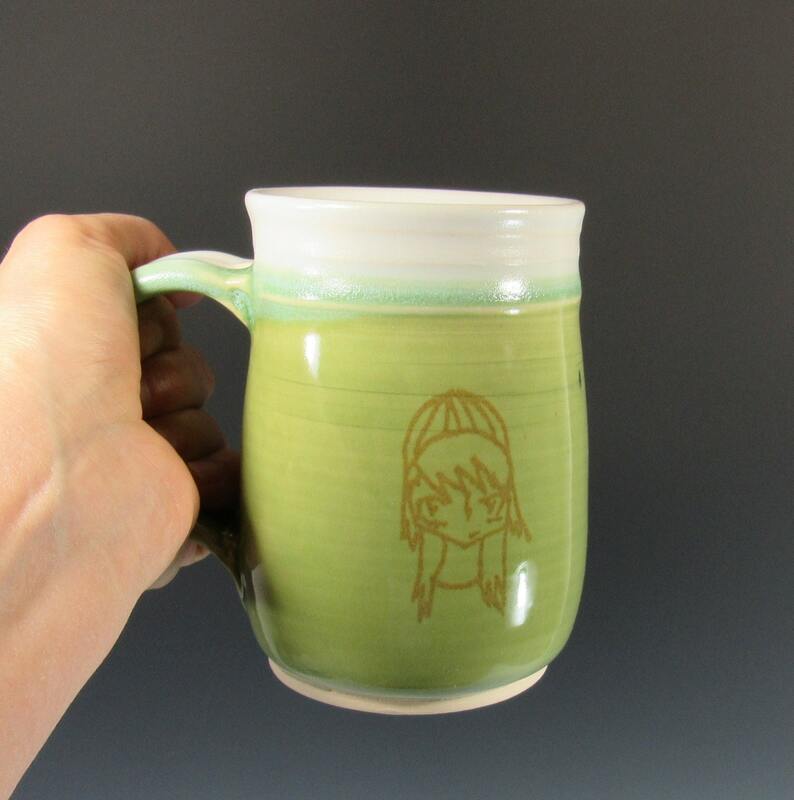 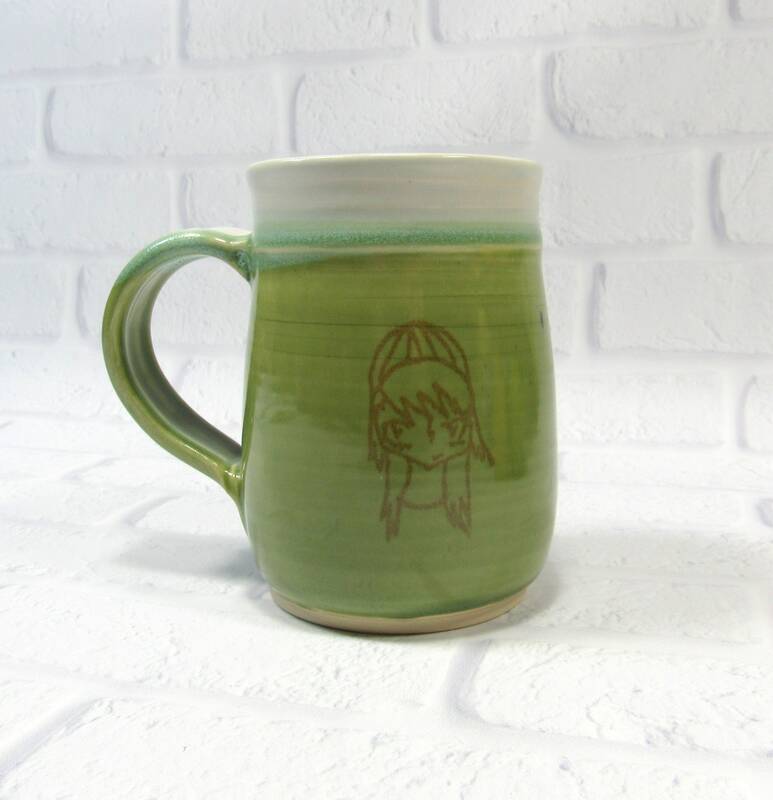 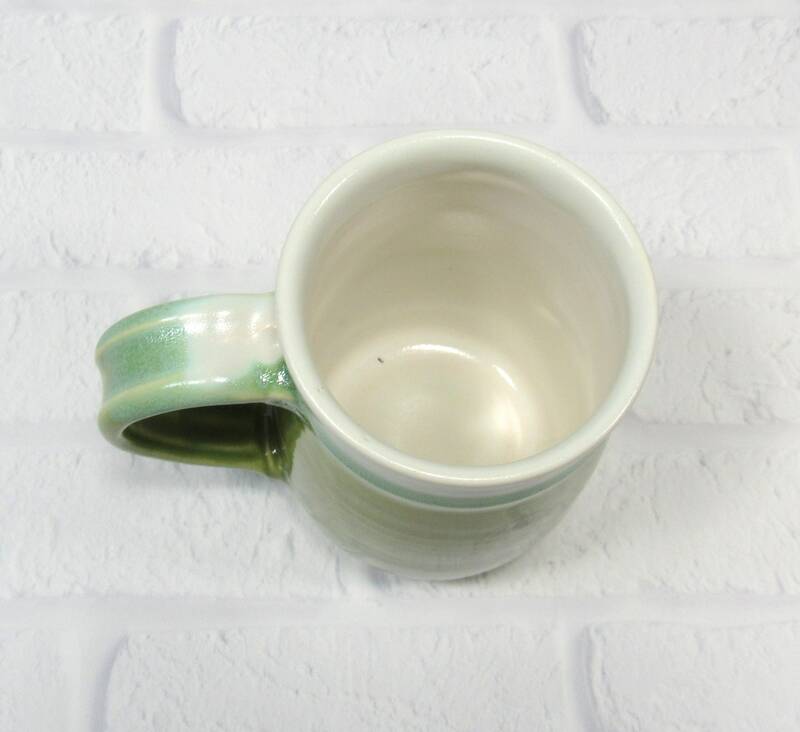 You're going to love this large ceramic pottery mug for your morning coffee or tea. 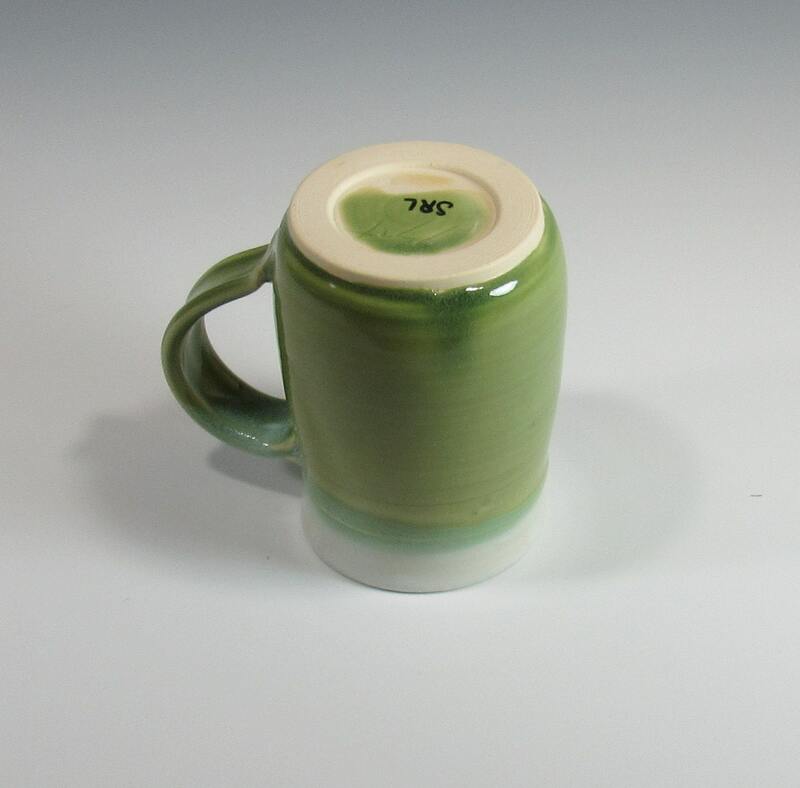 This handmade mug holds 2 cups (18oz) of coffee or tea and is 4.5 inches tall. 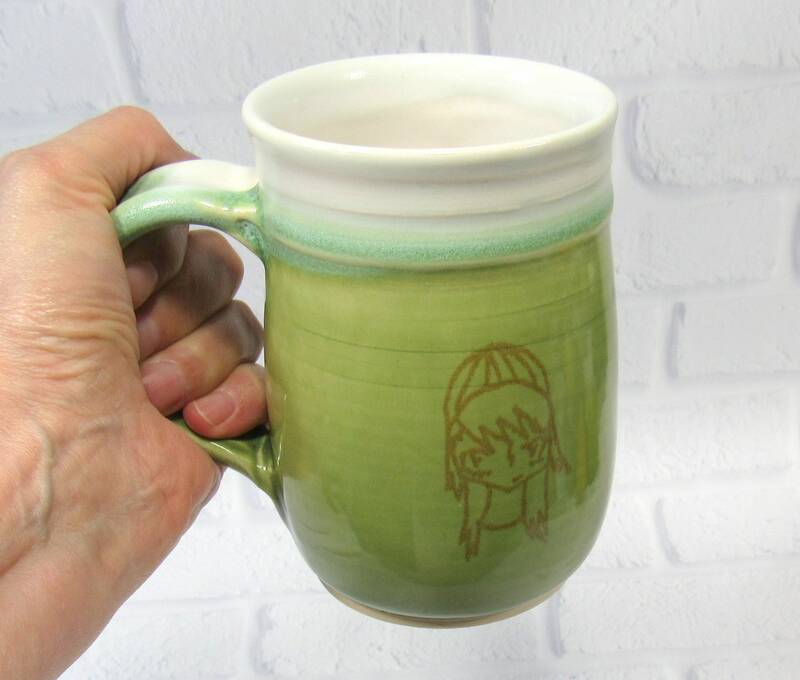 I made this mug on the potter's wheel in my Virginia studio. 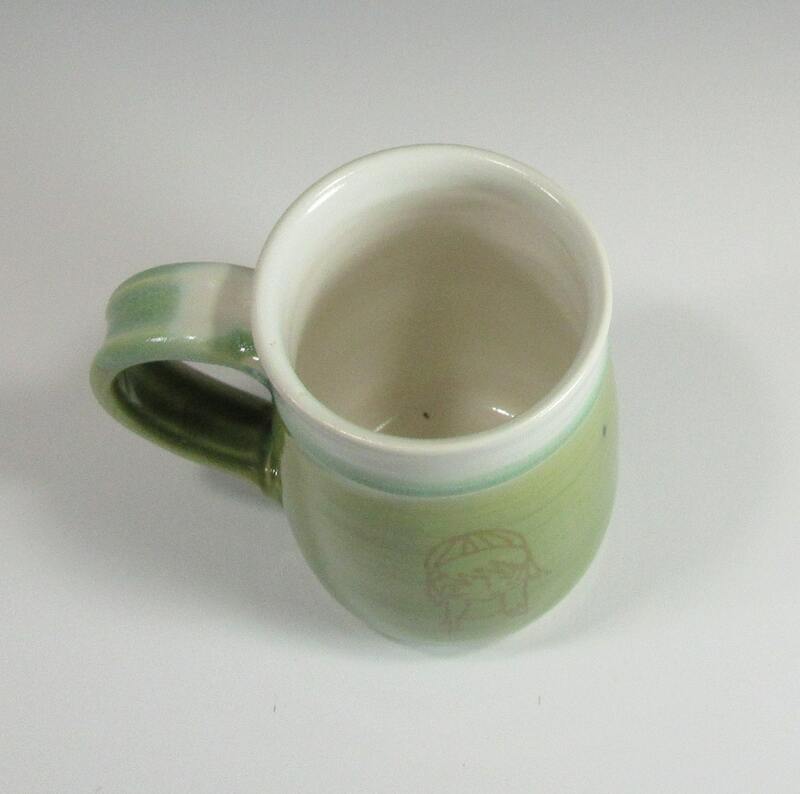 After the clay was dry enough to handle, I trimmed it to refine the shape and create a foot, and added the handle. 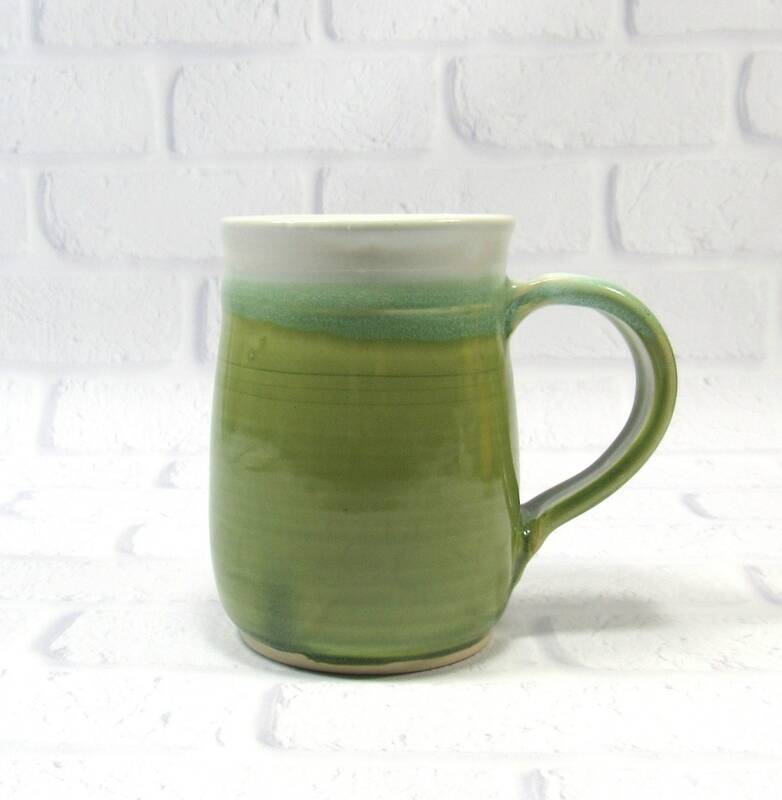 After the first firing, I glazed it in satin white on the inside and green on the outside, with the two glazes overlapping at the top. 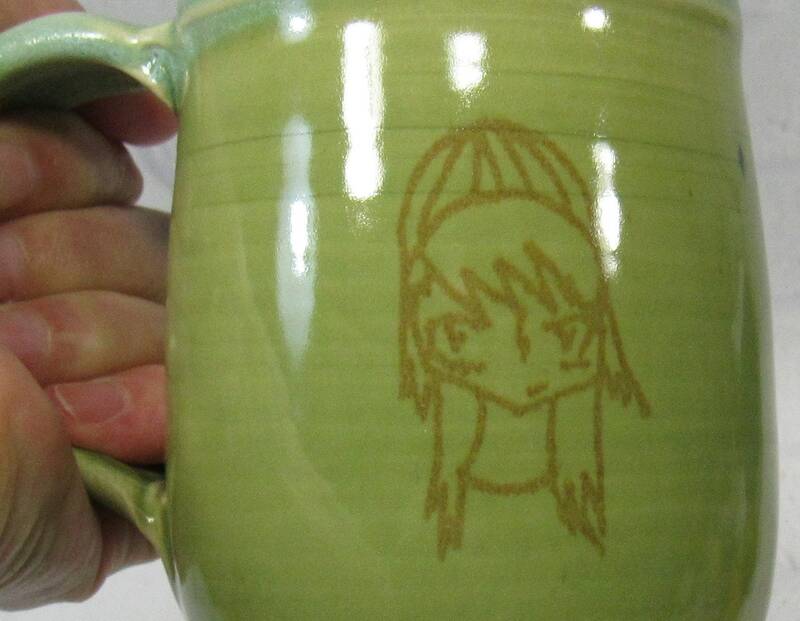 I then added a decal of a manga character drawn by my granddaughter and fired it a third time. 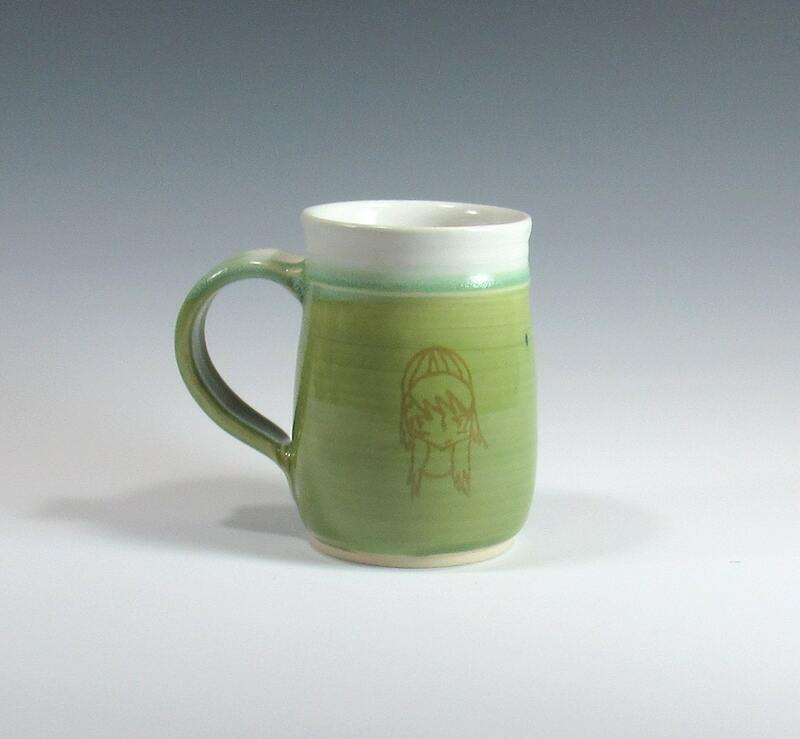 The mug has my signature as well as my granddaughter's initials on the bottom.